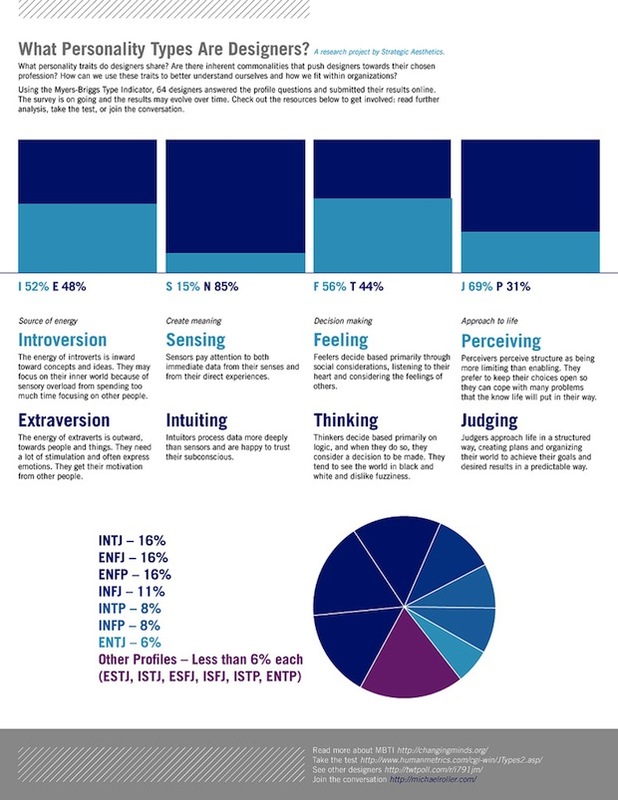 What Personality Traits Do Designers Share? Let’s ignore all the details (and the hideous, illegible pie chart at the bottom), and zoom in on the two clearest trends: 85% of respondents were “intuiting” types, while 69% were “judging.” By itself that’s not particularly useful. But those two personality traits offer a good insight into what “design thinking” might actually consist of. According to the test, those that “intuit” rather than “sense” tend to focus on context and future developments, rather than simply the data at hand. Meanwhile, those that “judge” rather than “perceive” tend to see the world in terms of discrete problems that can be structured and cracked, rather than as a series of casual, open-ended possibilities.